100 years of the ROYAL AIR FORCE celebrating the aircraft and airmen who defend our shores and triumphed in two world wars; and the commanders, crews and gallant women who made victory in the air possible. The RAF in iconic or rare photos and posters, and in popular culture. 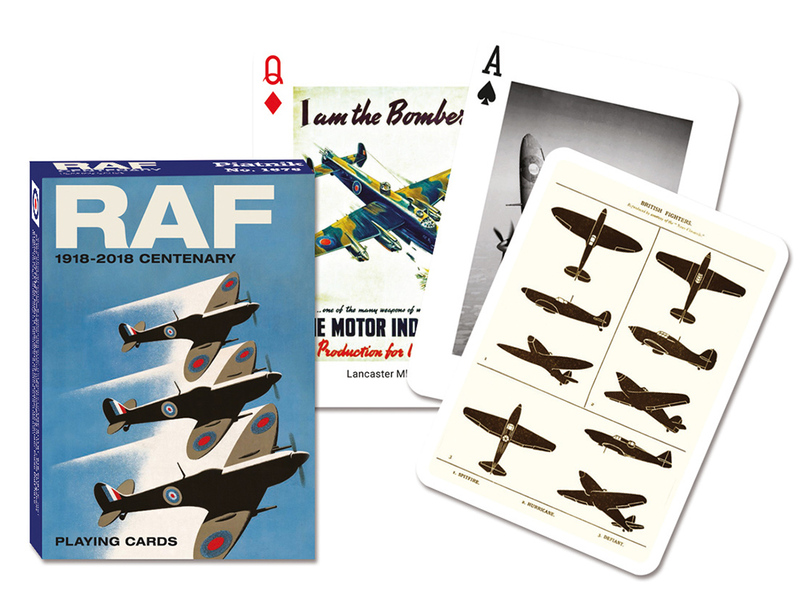 Like all Piatnik playing cards, RAF Centenary is a pack of high quality cards that are presented in a durable tuck box. With 52 unique designs, these cards are a joy to handle again and again.